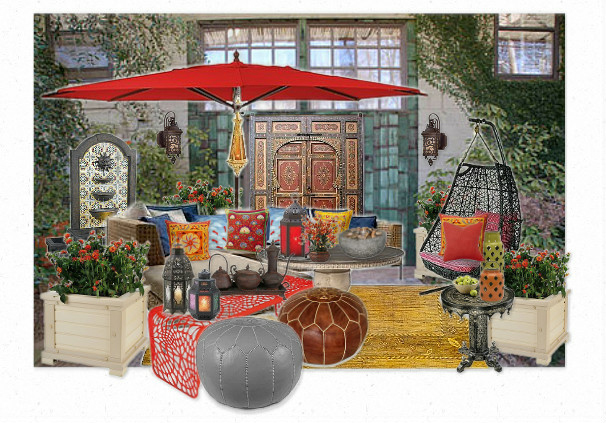 If you are looking to make a big statement on a modest budget, check out Jane’s blog post. 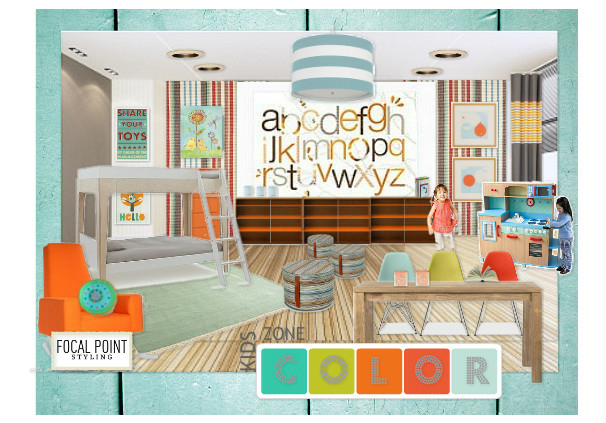 Using great paint colours, she is able to create a unified pretty in pastel table top design. As Jane shows us, you can paint pretty much anything from pearl necklaces, to books, to dishware and more. 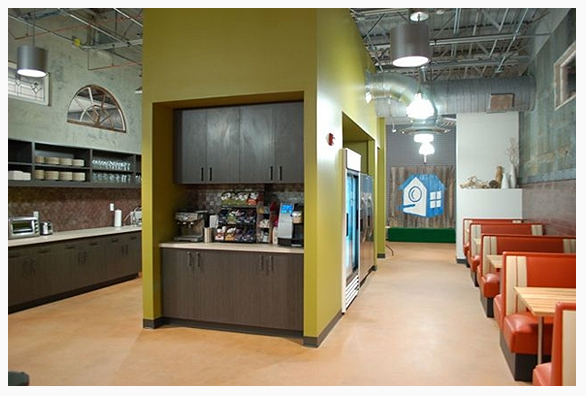 Start thinking outside of the box with Jane and you will be surprised at what you can achieve on a modest budget. 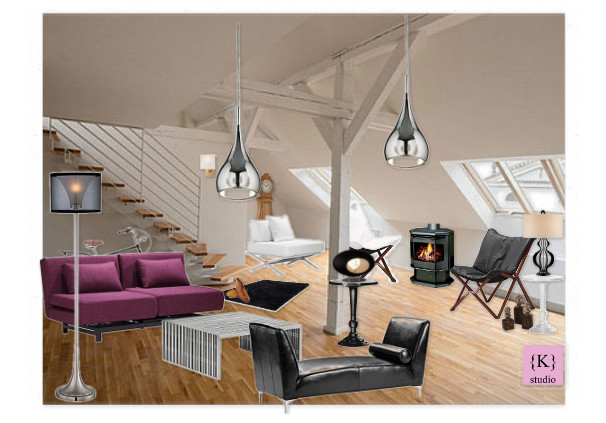 Our Euro Style Lighting contest has officially closed. Congratulations to our winners. Here’s what our amazing judge Chris from Curbly.com had to say about the winners. Big thanks to our wonderful judge Chris Gardner from Curbly.com. If you are a DIY fanatic, be sure to check out Curbly for great project tutorials and crafting ideas. You will LOVE IT! Special thanks to our fantastic sponsor, Euro Style Lighting. 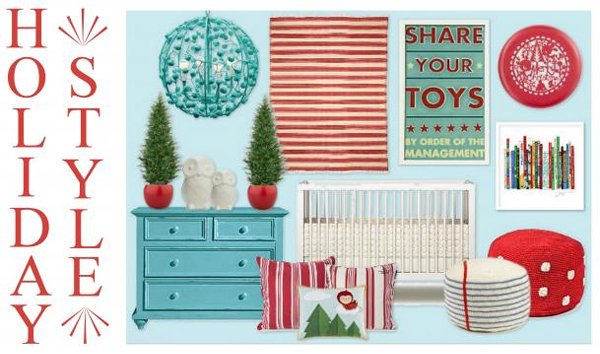 We hope you enjoyed browsing and getting creative with their beautiful product line. If you would like to browse more of Euro Style Lighting’s collection, check it out here. 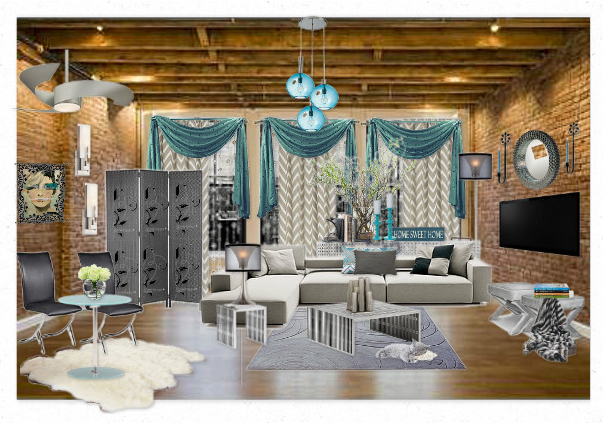 Make your dream bedroom a reality with a moodboard that expresses your unique style, and you may find yourself winning big! 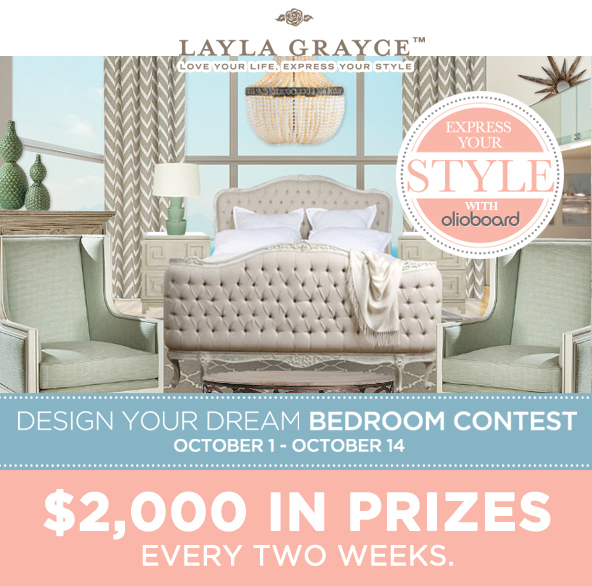 Through November, Olioboard is partnering with Layla Grayce for a series of contests beginning with the “Design Your Dream Bedroom Contest,” which runs October 1- 14. 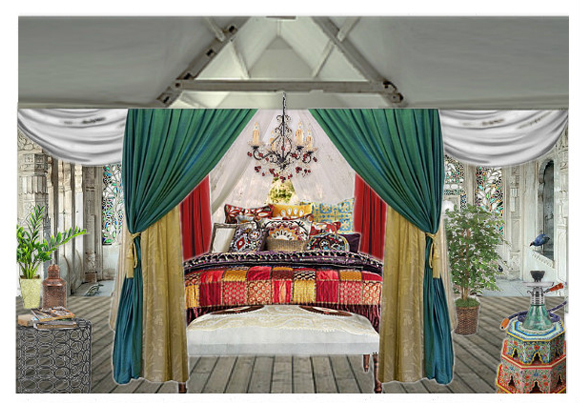 Design the ultimate sleeping sanctuary using anything you desire from Layla Grayce. The top three winners – chosen exclusively by Rue Magazine’s Co-Founder and Editor in Chief Crystal Gentilello – will earn cash prizes of $1,000, $500 and $250. *Remember to use at least two products from our sponsors Pine Cone Hill and/or Dash & Albert to be eligible to win. Winners will be announced October 16. May the best design enthusiast win! 2: Once your account is created, click “Add an Entry’ to begin. 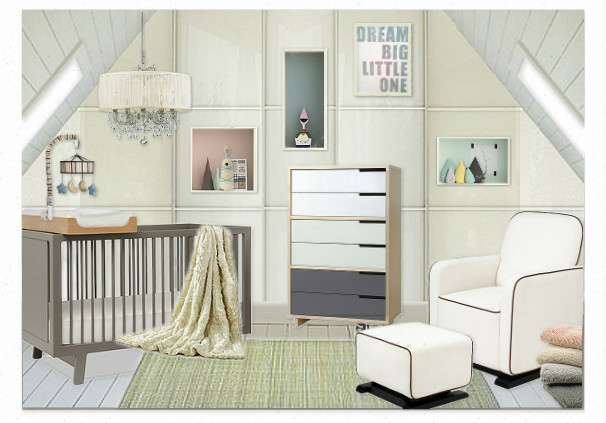 3: After the moodboard creator is open, pull items onto the canvas from the right-side panel to create your design. Save your entry by hitting the ‘Save Draft’ button in the top right. 4: To add your design to the Contest, visit the Contest Page and click ‘Add an Entry’ and select the board you wish to enter by clicking the ‘Click to Add’ button. Alternatively, you can click ‘Publish’ directly from the creation screen during the creation process. 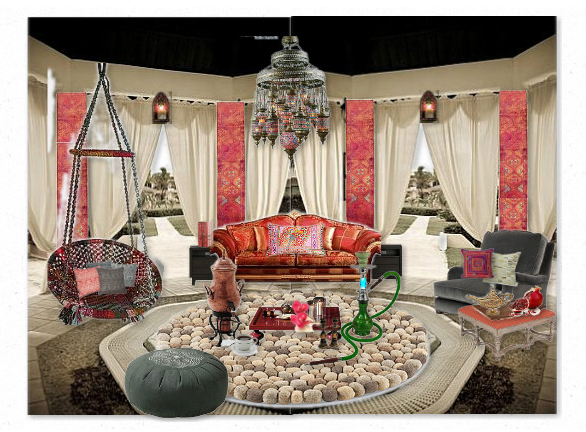 5: Share your moodboard on Facebook, Twitter and Pinterest for more votes! 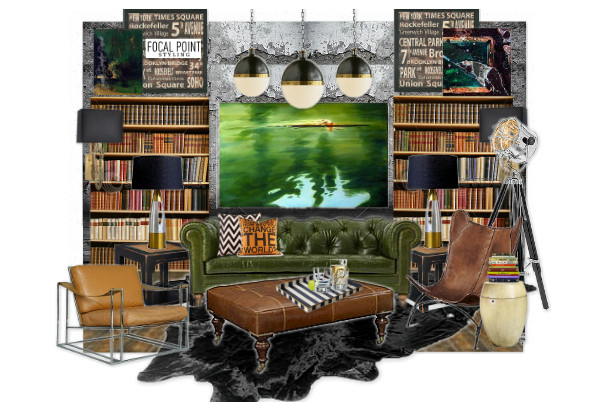 Our judge will choose the Grand Prize Winner and Runners Up from among the most popular moodboards. As many of you know, Olioboard has paired up with Wayfair to hold three, week long design challenges where three lucky Olioboard members will walk away with some great prizes totalling in $1000 in Wayfair store credit. 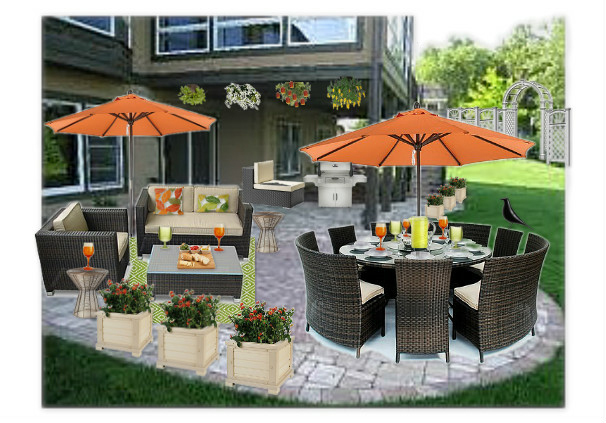 We have already finished the 1st design contest in which Wayfair challenged the community to design the Ultimate Summer Patio. 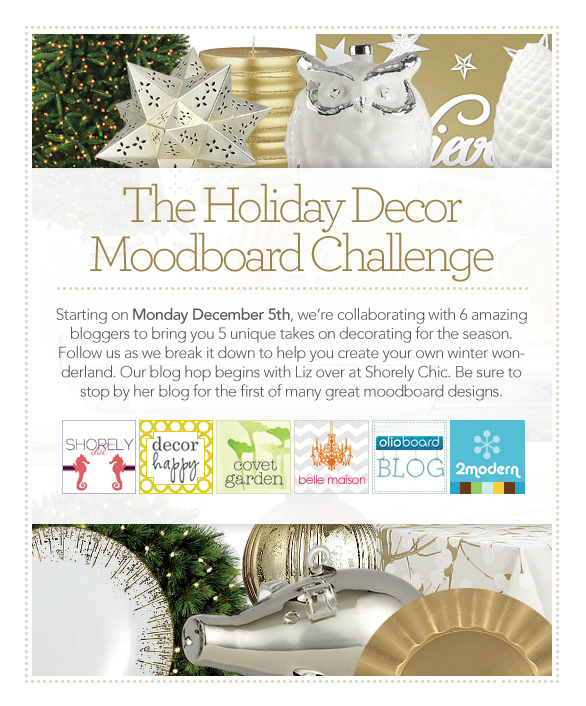 We invited the lovely Kristine Kennedy, the Editorial Director of Wayfair, to participate as a judge for this contest. 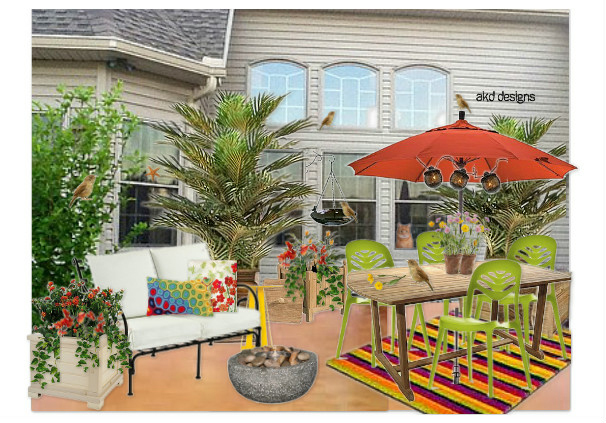 While it was no easy task to choose one board out of the top 25 voted up by the Olioboard community, Kristine couldn’t overlook this beautiful Go Green Patio design by Neetib. BIG CONGRATULATIONS to Neetib on her WIN! 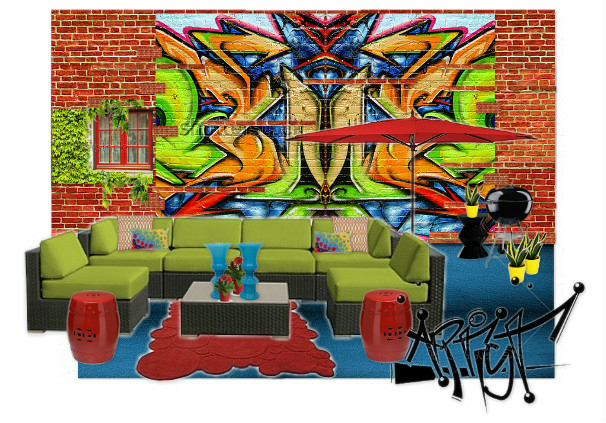 Here’s a look at some of the other amazing designs that were entered into the contest. 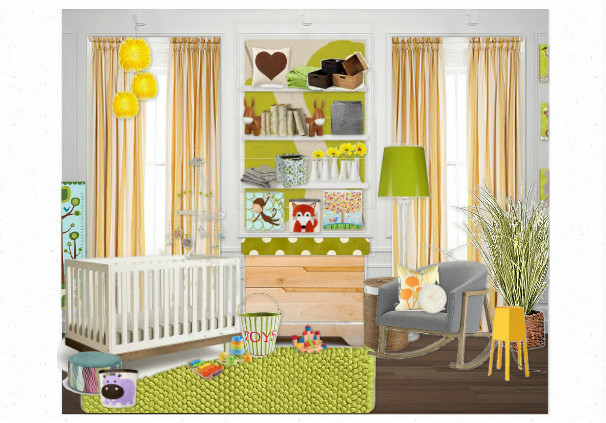 We are currently running the 2nd design contest in which Wayfair has challenged the Olioboard community to design the perfect nursery or child’s room for your little dreamer. This contest closes on Monday the 25th so be sure to get your entries in and vote for your favourites. Here’s a look at some of the current entries. 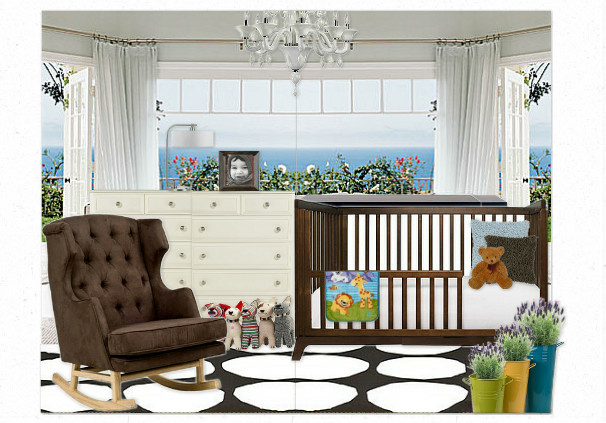 Enter the contest and design the perfect nursery or child’s room for your little dreamer. You might just walk away with $250 in Wayfair store credit. 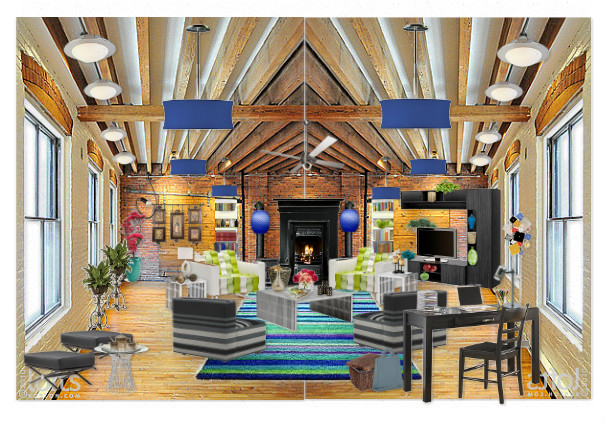 Or get a head start on the last and final Wayfair design challenge and create a dining or living room where you can entertain in style. 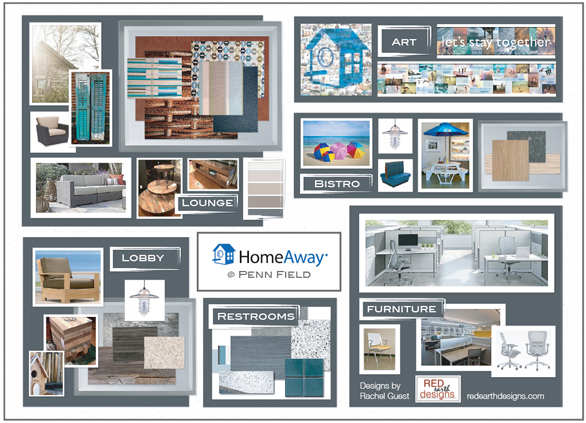 At the end of the three design challenges, the three winning boards will be put back in front of the judges and one will be named the grand prize winner and receive an additional $250 giving the grand prize winner a total of $500 in Wayfair store credit. Good luck to everyone who enters! A few weeks ago one of our olioboard members suggested we hold a design challenge called Inspiration India. The following boards are a selection of some of the amazing work created by the Olioboard community. These boards in particular were so well done I just had to share them. Big thanks to member vasudilip for suggesting the challenge that created these great olioboards. 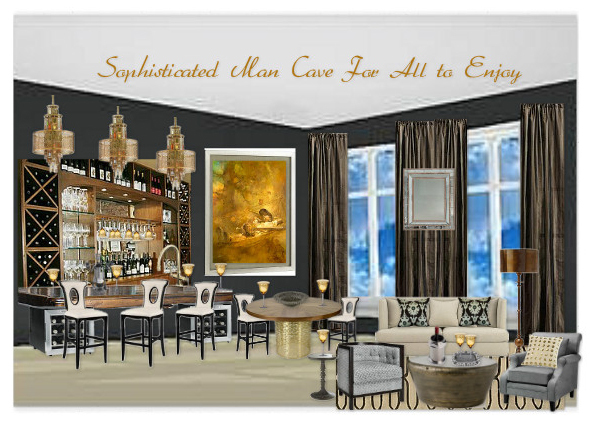 This stunning design was created by one of our long time members, marialuisalim. She has a knack for using background images and flipping them in a way to create a full space. One of her strongest talents is her ability to layout the overall design. She creates beautiful symmetry and I just love the how she uses the items that break out the sides of the rectangular frame to create a more pleasing vignette. If anyone is struggling to develop more in depth and detailed moodboards, I highly recommend looking through marialuisalim’s full collection of olioboards to get great ideas and tips. 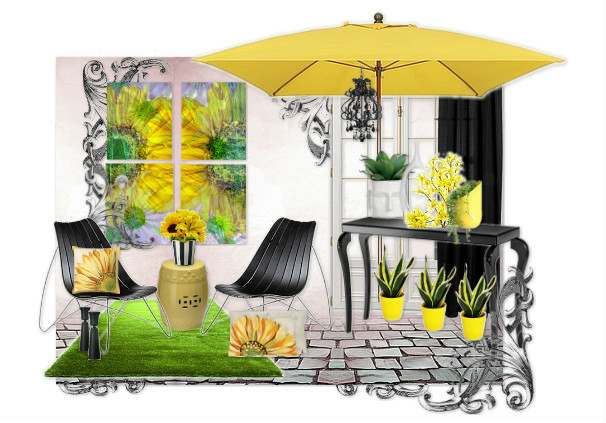 Panache is another member of the Olioboard community that just keeps turning out gold with each olioboard she creates. As expected, she nailed it with this design too. 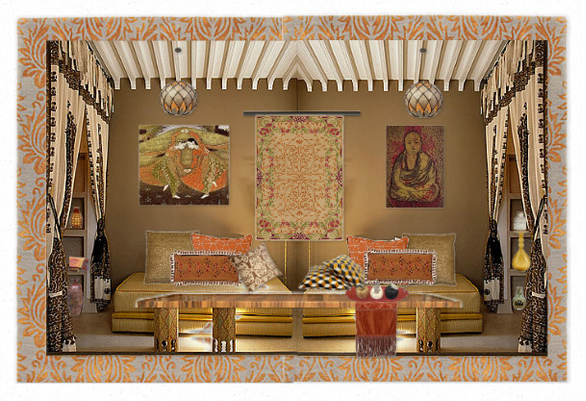 The wide low slung sofa with no back except for the causally thrown collection of patterned pillows is perfect for the India theme. 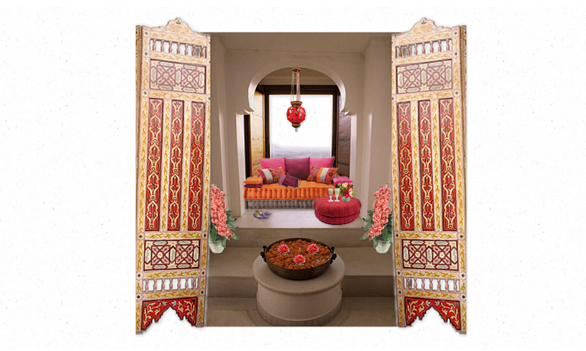 I also love how the rich spice colour scheme creates a warm and welcome feeling. Does this not look like the most perfect escape? I want to cozy up onto that window seat and enjoy the view with a good book and a warm drink. The bright, bold colours, elaborately decorated window shutters and gorgeous pendant light work beautifully together in this design. 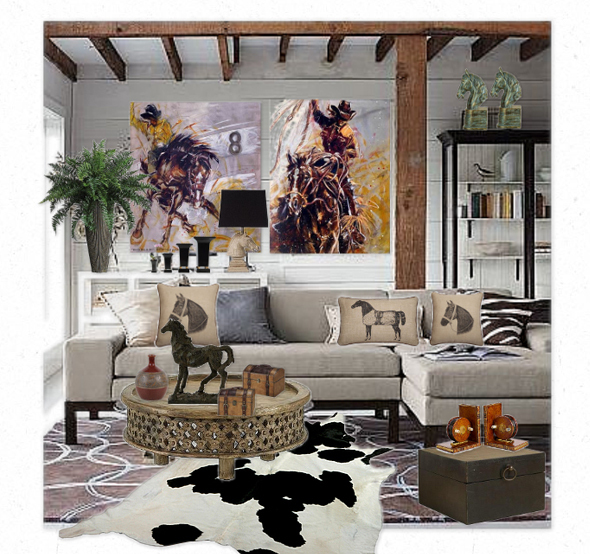 The carefully selected items just go to show Joci37′s great taste and eye for design. 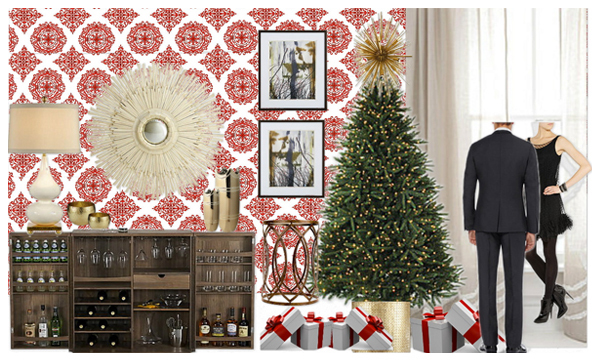 I used one of this lady’s olioboards to showcase the Christmas Tree Decorating Challenge and I’m going to use one of her boards again here. 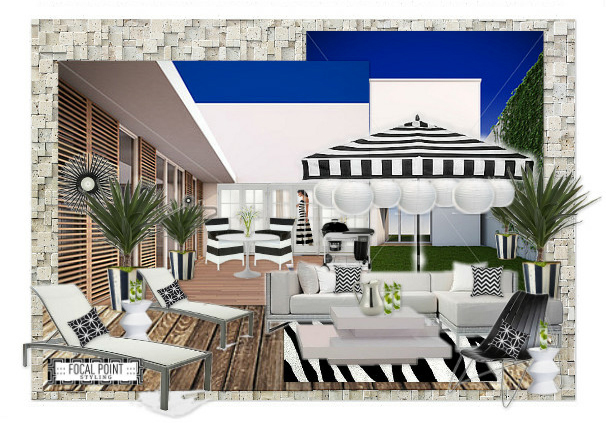 Designasauris is one of our most active members and I’ve enjoyed following along as she designs up a storm on Olioboard. The yards and yards of draped fabric add to the India inspired theme and create a softness for this bedroom, while the mountain of pillows and the colourful quilted bed spread create the ultimate focal point. Last but not least, I would like to share this great design by Adrianad. Again, anyone who would like to learn more about creating more in depth Olioboards that showcase an overall space rather than a collection of items, should follow these members. Adrianad manages to manipulate images and products in a way that literally transforms them into something else completely. Her ability to source out fantastic items that fit well with the design as well as with the perspective of the space is what highlights her as one of our most talented members. 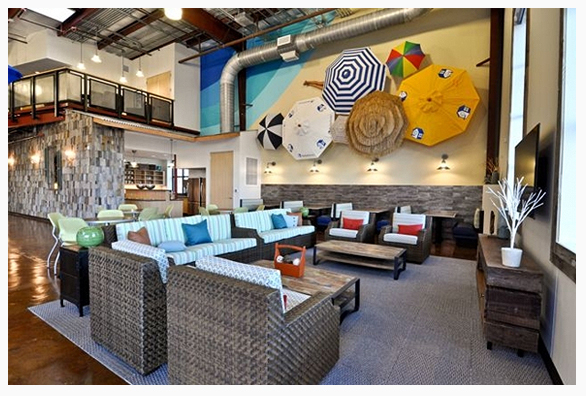 Love the stone rug and colourful wall panels. 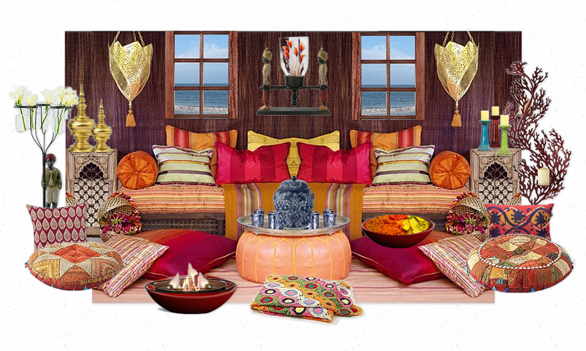 If you would like to see more designs from the India Inspired Challenge just click here. If you would like more details on any of the above Olioboard’s, simply click on the design you like and you will be taken to the board detail page on Olioboard where you can view a list of items used to create the board. The challenge is on. 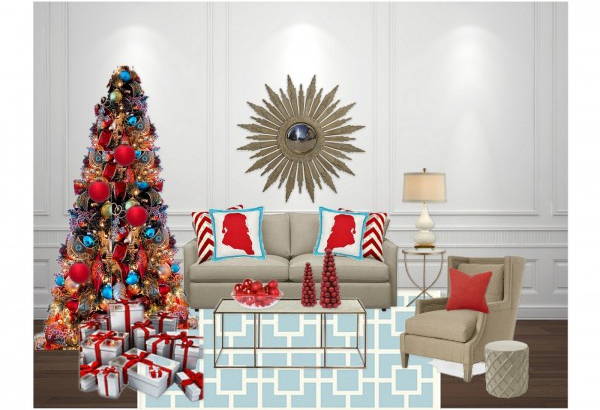 We want to see which of you can create the most amazing Christmas tree design to celebrate the holidays with. You have decked the halls, now lets see you tackle the tree. There are already some amazing designs entered into this challenge. Click the image above to browse the entries or create an entry of your own. If you are in need of some inspiration, check out the great collection of ornaments in the Christmas tree challenge sample set. Can’t wait to see what you all come up with. Good Luck! 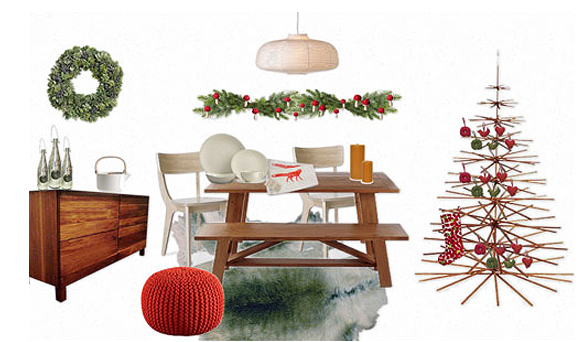 Big thanks to all the amazing bloggers who joined in on our Olioboard Holiday Blog Hop. I hope you all had as much fun as I did. For those that have been following along, I hope you picked up some great new tips for achieving a particular holiday style. 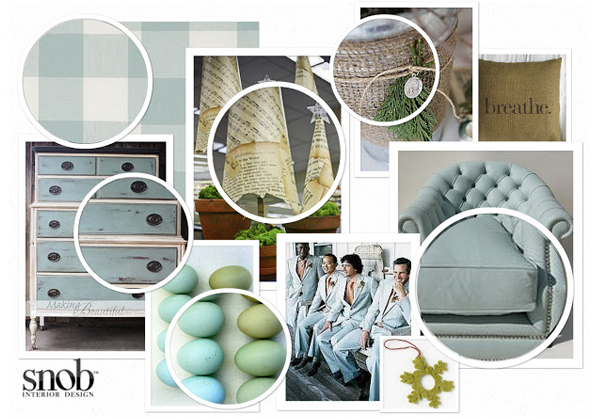 If you missed any of the moodboard designs along the way, you can see them all below. 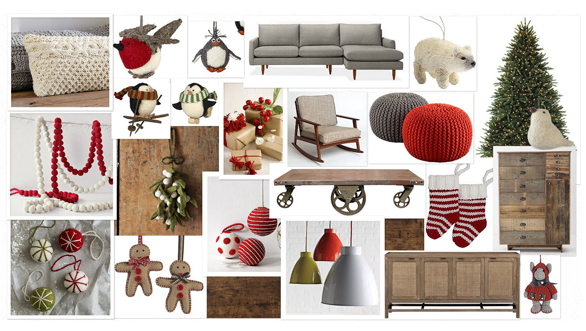 Just click on any of the moodboards to be directed to the full blog post. Have a look and let us know what you think. 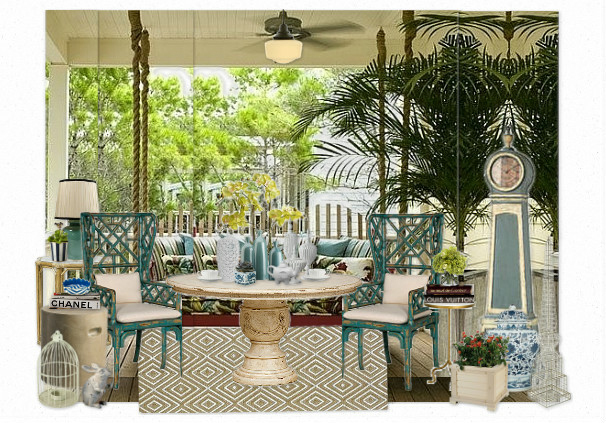 If you are a fan of the coastal style, look no further. Liz is the master. 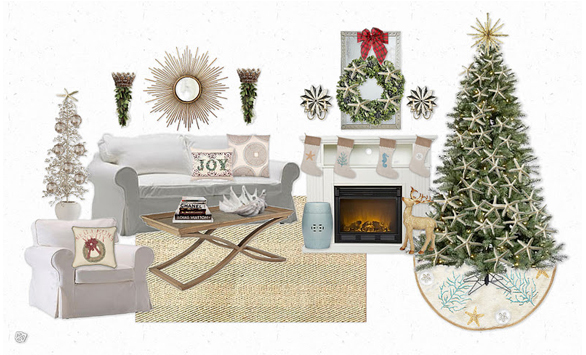 Her coastal holiday inspired moodboard is one of many great examples. The beachy colour scheme, star fish ornaments and sea inspired stockings all work well together to create a festive sea side holiday look. 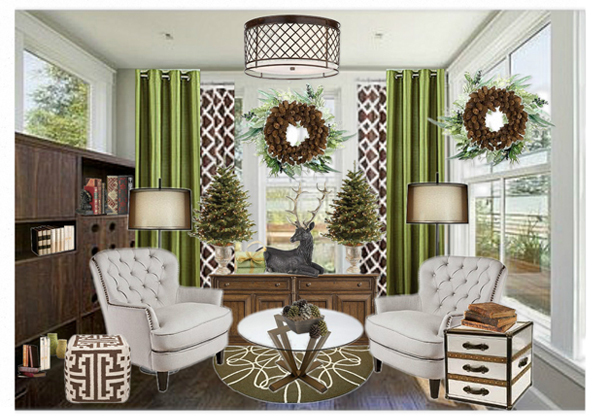 She sparkled up her room with some great items like the crowns on the wall behind the couch with garland, shiny ornaments and the starlette mirrored sconces above the fireplace. 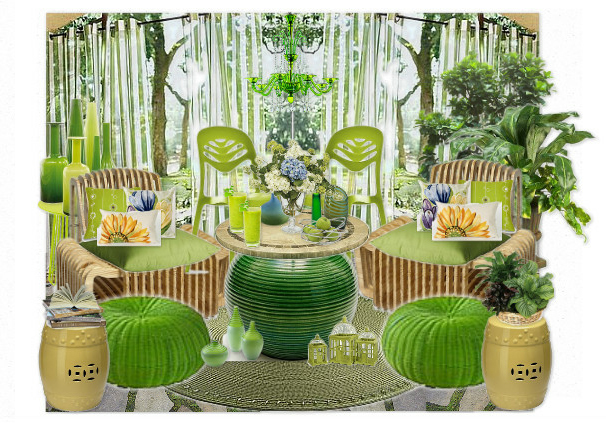 Beautiful design Liz! Vanessa’s beautiful classic red and white design is sure to be a favourite amongst the traditional Christmas colour lovers. 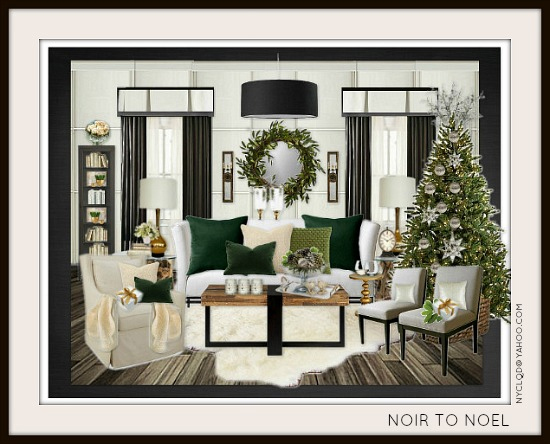 She also shares some great tips and tricks for decorating on a smaller budget like the Ikea fabric table runner, adding holiday throw pillows and simply decorating with fruit and candy to give that extra pop of colour. 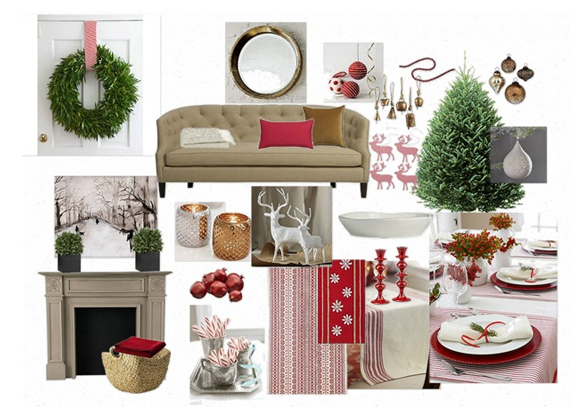 Wednesday’s holiday moodboard design came from the lovely ladies over at Covet Garden. We’re loving the tiny mushroom ornaments. These mushroom ornaments are popping up everywhere this year. The succulent wreath is also a great piece and a nice alternative to the standard options. You could probably even take it apart after the holiday’s and replant each one for a beautiful succulent garden, just like these little beauties. 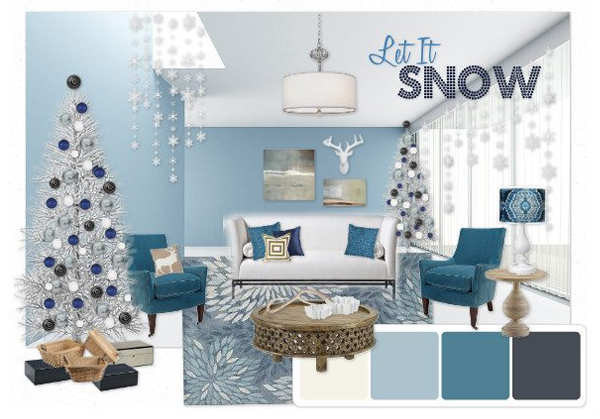 We love that Julie tossed aside the traditional colour schemes and create a fresh new take on decorating for the holidays. 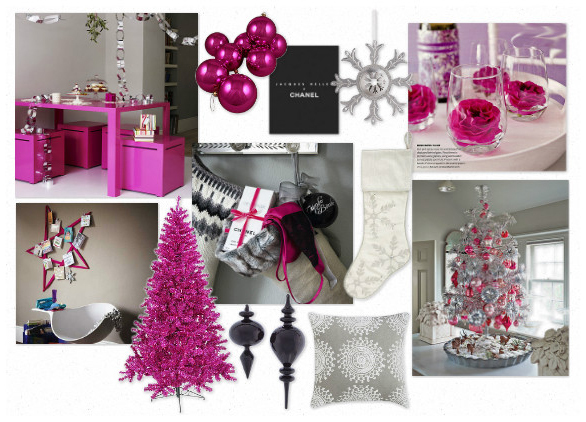 Her bold fuchsia, silver and black colour scheme gives off a modern and glam holiday look. Keeping a neutral backdrop with gray and silver allows the fuchsia to be the show stopper. We’re also loving her display of cut flowers in stemless wine glasses. Great idea and very pretty. 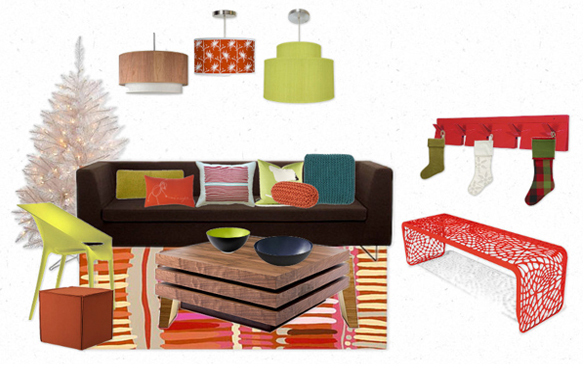 I love Adrienne’s use of bright colours and bold fun patterns. 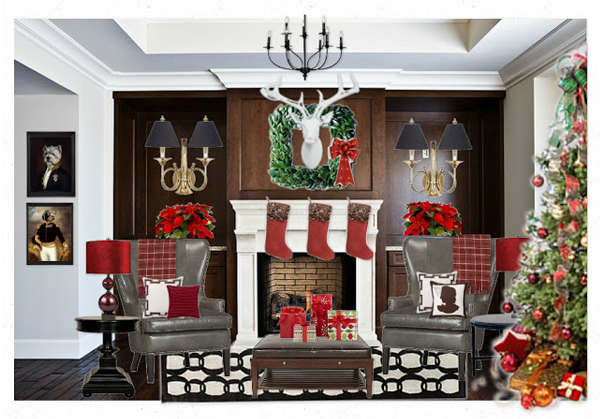 For all those that have no fireplace to hang stockings on, she has you covered. 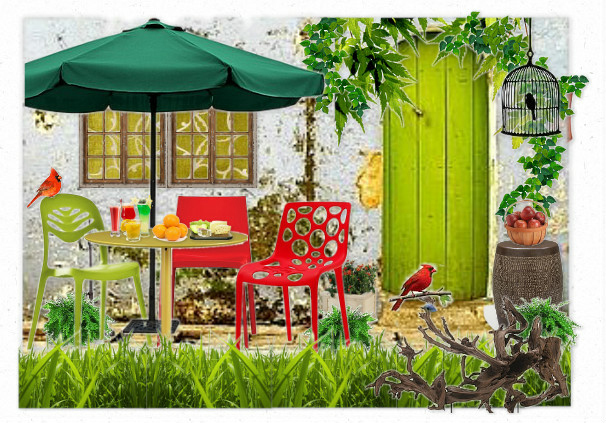 Check out the fun hip, red, metal coat rack in her moodboard. It’s a fun alternative and great solution for hanging stockings. 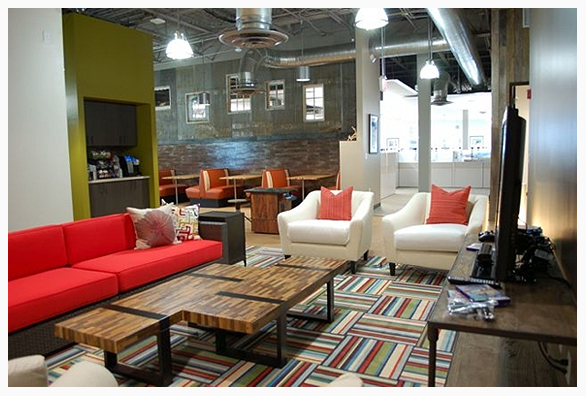 The wood tones in Adrienne’s design help keep the overall look warm, comfortable and inviting. Great job! As you can see, I opted to go for a crafty and homemade Christmas look. I’m completely in love with the felt and knit animal ornaments this year. While they are not homemade, they definitely give off that feel and were the inspiration for my moodboard design. I’m also on a kick right now with turning old sweaters into comfy accent pillows which probably also inspired this homemade holiday look. Hope you like it! 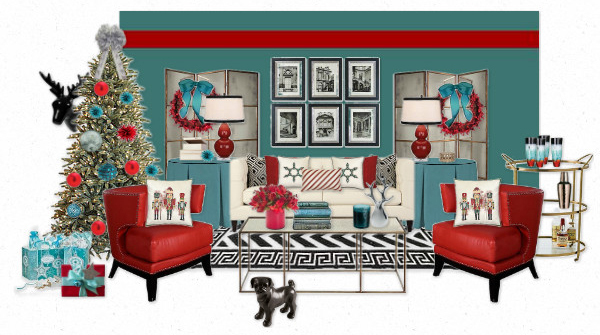 How will you be decorating your space this holiday season? 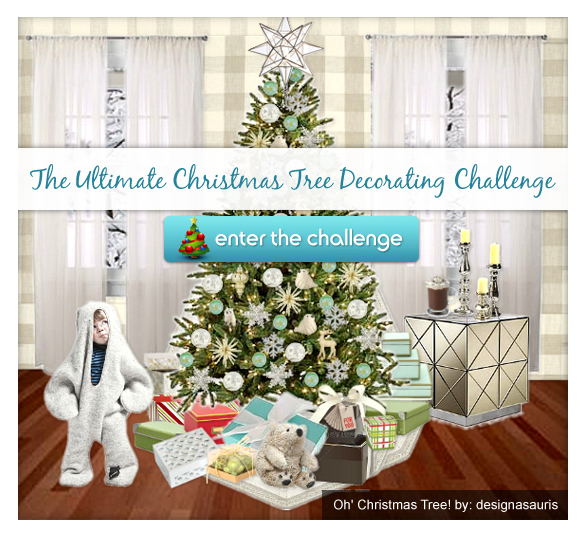 If you still have the decorating bug in you and you want to let some of that creativity out, head over to Olioboard and enter a design into the “Ultimate Christmas Tree Decorating Challenge.” There are some beautiful designs in the challenge already, but we would love to see what you can bring to the table. Thanks for following along and happy olioboarding! Meet the talented ladies behind this collaborative blog hop! 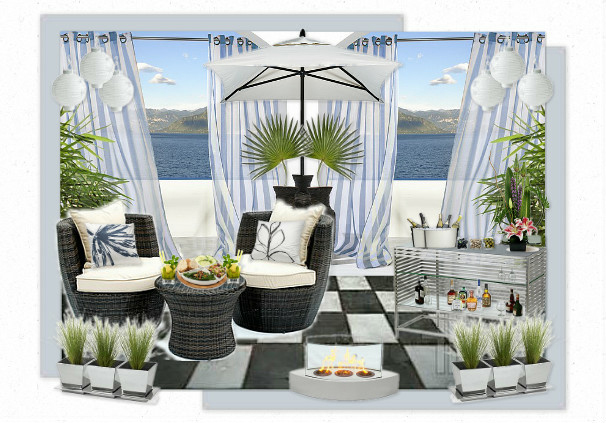 Liz is passionate about all things design and the peaceful and tranquil way of life by the beach. 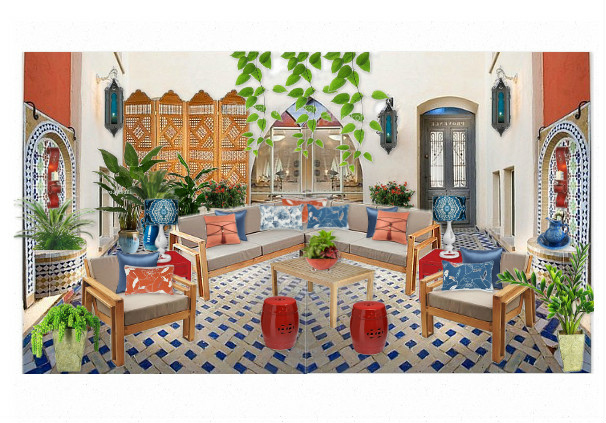 Her mission is to create a home environment that influences a refreshing and chic lifestyle through her inspirational blog, interior design services and product lines available on Etsy. 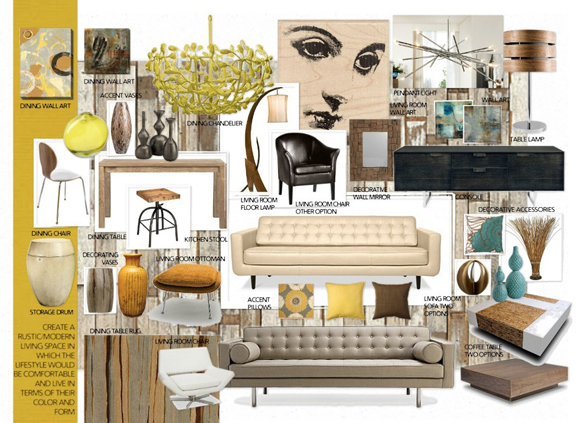 Vanessa has a knack for mixing styles, textures and finishes which keep her designs personal, thoughtful and fresh. She would describe her style as refined simplicity – timeless, classic and understated with an appreciation for both traditional and contemporary elements. Combined there is nothing these ladies haven’t done. Let me see if I got this straight: Lifestyle editor, freelance writer, decorator, floral designer, award winning prop stylist, designer, art director and writer for publications such as Flare, In Style, Rouge, Images, and the Winnipeg Free Press. These ladies are amazing! 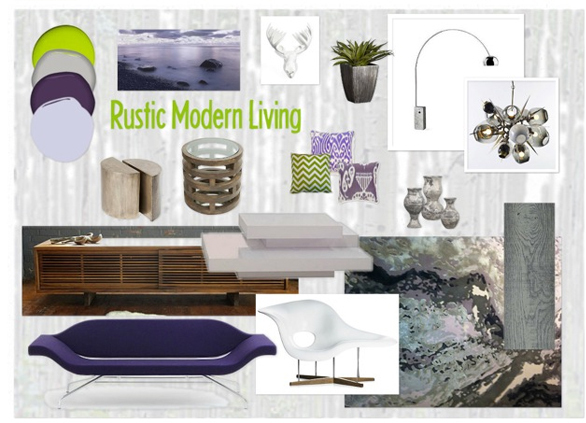 Julie is an interior designer and founder of Modern Chic Home. The inspiration behind launching an online boutique comes from her passion for interior design, the love of sharing what she’s learned and experienced over the years, and the desire to bring incredible resources to the marketplace for all to enjoy. A writer, blogger and interior designer by trade, Adrienne has worked at a trendy design store in downtown Austin, owned her own interior design consulting business, operated her own pet sitting business and now enjoys making a living writing for a number of editors. Sheilah from Olioboard Blog – Co-founder of Olioboard.com. I run a web design company called Keele UX Inc. with my partner Cole, creating large scale social sites and web and mobile apps for our clients. Olioboard was our first attempt at creating our very own app. 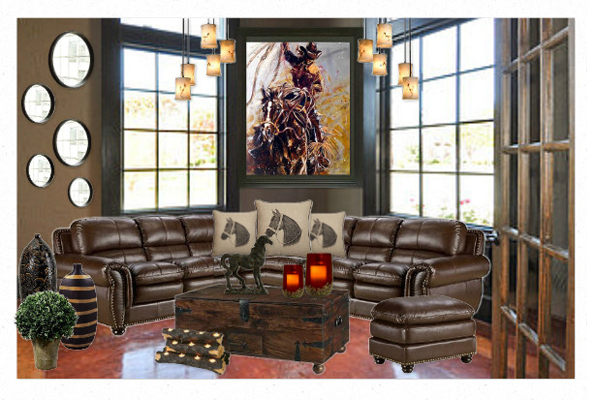 They say you should start with something you love and I LOVE interior design. 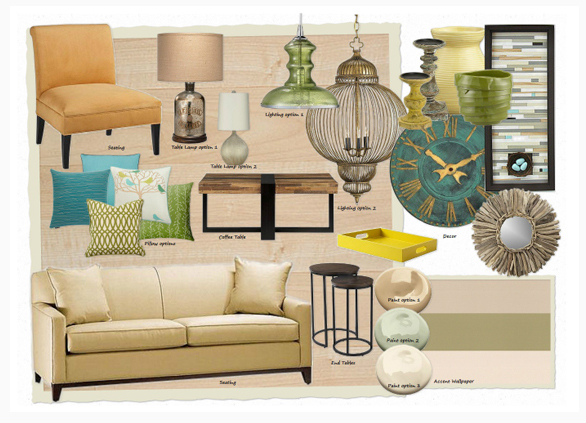 Olioboard was created to help others (like me) experiment with their interior design side. For everyone who enjoys spending hours browsing home decor stores, dreaming of new bathrooms and kitchens over cars and clothes… Olioboard was made for you. Enjoy!